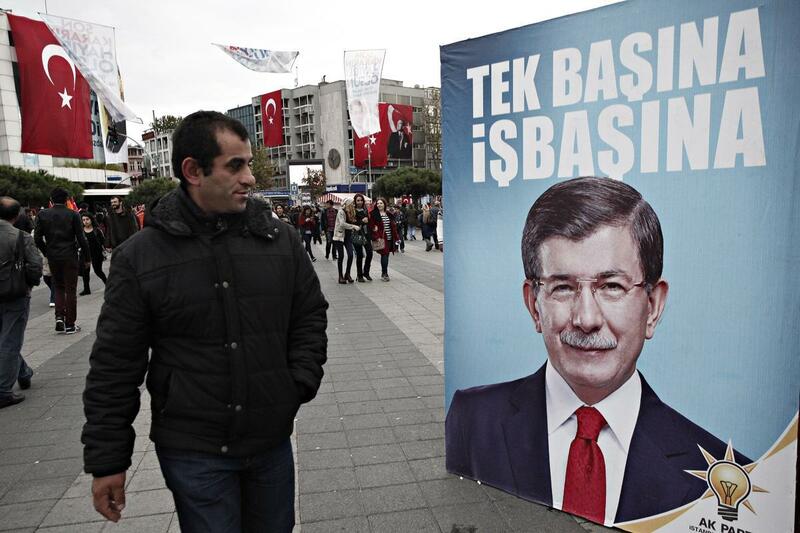 ISTANBUL -- Turkey's Justice and Development Party made a dramatic comeback in the election on Nov. 1. Most pundits expected it to fare even worse than the 41 percent it made in the June 7 election. Shocking almost everyone (including its own pollsters), the AKP got a clear 49.4 percent of the votes. This is very close to its record of 2011 general elections, which was 49.8 percent. But the important thing here to note is: the AKP increased its vote back to these record levels in the past five short months. While the main opposition party, the Republican People's Party or CHP, remained almost the same as its vote in the June and 2011 elections, the two nationalist parties -- Nationalist Movement Party or MHP (Turkish nationalists) and the People's Democratic Party or HDP (Kurdish nationalists) -- lost badly. Thankfully, both have remained above the critical threshold of 10 percent and hence will be represented at the parliament. This is, without a doubt, a great victory for the AKP, a party that came back from the dead. That is why we have to make the right assessments about the result. I talk of the assessments in plural, as I believe that a multitude of factors need to be noted. This is, without a doubt, a great victory for the AKP, a party that came back from the dead. First is the fact that the AKP is still the dominant power in Turkish politics, and its power to mobilize its voter base is immense. What made it lose its majority in the June election was an air of chaos within the party and its dismissal of the usual tenets of an election campaign. Going through a serious self criticism, the party diagnosed the problematic areas of its election campaign, made the necessary repairs and ran a much more coherent, solid and centralized campaign. Two tactical aspects must be noted carefully about the AKP's campaign. The first is that it revamped its election promises, especially regarding the economy. And the second is: it reformed its lists of deputies, especially in the southeastern regions of Turkey, where it lost to the Kurds in the June election. But the more important aspect was more than tactical: for the AKP, which took a big risk when it called for the Nov. 1 election, last weekend's vote was like an existential referendum. The whole campaign discourse was constructed on the idea of now or never. Even the campaign slogan -- which can be translated as "It's not me, it's not you, it's Turkey" -- was a clear sign of this discourse preference. The other parties have totally missed this aspect: their campaigns have not tried to create a mobilization around an idea such as that of the AKP. Indeed, thrilled by the bigger-than-ever negative cloud around the AKP's global image, the opposition was almost sure that the result would be yet another hung parliament, with AKP remaining below 276 seats. That brings us to another important aspect of the Nov. 1 election: the behavior of Turkish center-right voters. They don't like to subscribe to global trends and values -- those of the developed democracies above all. It doesn't mean that Turkish voters don't care about the universal values of freedom of speech and media, or a pluralist political culture or other tenets of participative democracies. Yet, Turkish center-right voters, along with many similar groups of voters from emerging as well as developed economies, prefer to make a rational bundle of their gains from different realms. This approach makes economic stability and wealth at least as important, or maybe more important, than media freedom, for example. Indeed, for development theorists who argue that economic growth, by itself, is not directly linked with the betterment of democratic norms, Turkey's center-right voters may be a case to analyze. And now we arrive at the most important aspect that shaped voters' decisions that led to the AKP's landslide on Nov 1. Voters, after a brief period of turmoil following the June election, have voted for stability and sustainability. From an economic perspective, they have seen that the gains of the last 13 years could easily melt down in the absence of an able government. From a security perspective, the war with the PKK, a Kurdish terror group, and the nasty consequences of the chaos in Syria have reminded many voters to return to shelter rather than navigating the stormy water. Despite suffering from mistakes in the lead up and aftermath of the June election, the AKP was able to gain back some Kurdish votes as well. That means that the pro-Kurdish HDP came out the loser in this election. It wouldn't be wrong to argue that the AKP's victory was as much a result of its successes as it was of the fatal mistakes, after June's election, of both the MHP and the HDP. The MHP lacked coherence, was distinctively negative to any offer of cooperation and had a senseless political language that only intimidated voters. The HDP's faults were more visible. The party's leadership was not reactive enough to the increasing terror from the PKK. Many pundits, including myself, believe that the renewed conflict with the PKK was both a result of the inevitable consequences of the war in Syria, but also a conscious choice on the side of PKK to seize an opportunity they saw as historic. But nobody can argue that President Recep Tayyip Erdogan is still as dedicated to peace process as he was just months ago. Still, the result is that the HDP tried to present the renewed conflict as the sole decision of "the Palace" -- i.e. Erdogan. This backfired. It backfired because the Turkish and Kurdish voters alike have no tolerance for such one-sided rhetoric. It intimidated the conservative, more Islamist Kurdish voters especially, as they felt that HDP is no different than others when it comes to banal nationalism. That is the major reason why a part of the conservative Kurdish vote returned to AKP and left HDP vulnerable to the risk of falling below the 10 percent threshold. Yesterday's election results are an epic victory for the AKP, and its leadership as well as its voters deserve to celebrate. But I believe that the AKP is now at a more serious crossroads than it was after the June election, for the simple reason that the political discourse in Turkey over the past 13 years cannot be extended further. In a world that is becoming more heterogeneous and diverse, with numerous interfaces in different realms, traditional binaries are losing their meanings. The AKP's political vision is still very much relying on many of those binaries, and it risks becoming outdated. That's why, despite the great election victory, the AKP needs to offer something new to Turkey. But before doing that, it must diagnose serious problems in the economy, social policy and political reform. After the fantastic growth of the first eight years of AKP rule, today, due both to national and global trends, the Turkish economy needs a serious structural update. This update needs to consider more parameters today than it had to 13 years ago, as Turkey got richer. Now, its economy is seriously under the threat of a middle income gap. The structural reform recipe the government declared in 2014 was good but needs a larger frame of political vision to be put into application. More than anything, a structural update of the Turkish economy will necessitate a new economy team. Global investors will be watching carefully to see whether the AKP will opt for more or less orthodox policies in selecting the members of the new cabinet. While most accounts of the so-called "cultural and political schizophrenia" of Turkish society are overtly exaggerated (and this level of exaggeration is among the reasons why center-right voters once again opted for the AKP) it is no exaggeration to claim that Turkish society is more polarized today than it used to be. While I don't see an imminent threat of fragmentation or physical conflict, I also believe that the current climate is still poisonous and not constructive at all. And the AKP should share blame for that, as it failed to fully understand and diagnose the feelings of non-AKP voters. Therefore, the need to create a climate of conciliation, using a comprehensive, all-inclusive political discourse, is urgent and not postponable. If the AKP dismisses this fact, the gains of this election victory will not live long. If the AKP dismisses the need to create a climate of conciliation and inclusive political discourse, the gains of this election victory will not live long. Most importantly, the AKP needs to return to its reformist identity. It is true that under the first decade of AKP rule, Turkish democracy prospered and moved forward. But in recent years that progressive character has diminished. When Turkey reached the upper levels of international democratic norms and had to move forward to the next, AKP leaders started to fall short. There is an urgent need to rewrite parts of the constitution that deal with basic freedoms of speech and media and upgrade them to the highest global democratic standards. Then should come a new civilian constitution. But more than that, the AKP leadership should be the guardians of a more pluralist culture in all realms of life. Furthermore, AKP leaders, especially Erdogan and Prime Minister Ahmet Davutoglu, have to decide whether they will push forward with the idea of an executive presidency. The AKP fell short of both the 367 parliamentary seats required to change the constitution and also of the 330 that is required to call a referendum for constitutional change. 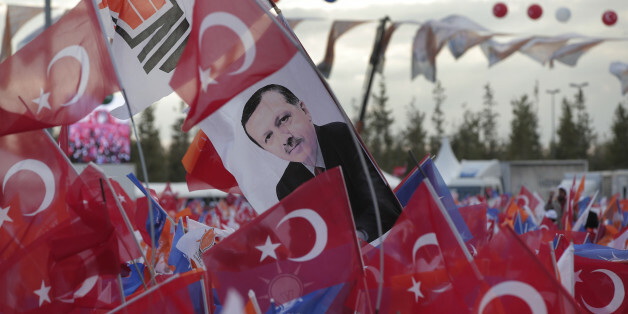 If the AKP decides to push forward with constitutional reform, it will need new alliances. This result should normally give a stronger mandate to the AKP to talk more confidently with all the other parties in parliament. It should. Otherwise, the continuation of the current situation with respect to the powers of the president will harm the AKP more than the other parties, and Davutoglu will face serious problems of governance. As long as a collective decision is delayed, speculations about disagreements on this issue will be used by the AKP's rivals. The Nov. 1 election results laid bare many realities. But one stands out from the rest: the warning delivered by Kurdish voters to the war-heavy language of the HDP. The roughly 2.5 percent of voters who abandoned the HDP did so as a reaction to the perception that the HDP didn't distance itself enough from PKK. Yet the AKP should not be mistaken in thinking that this warning was only to the HDP. The HDP will have 59 deputies in parliament, more than the MHP, making it the third biggest political party in Turkey. Hence, the warning message from voters is crystal clear: continue with the peace process and abandon the war, not your promises. This warning is to Selahattin Demirtas as well as to Erdogan and also to Abdullah Ocalan, the imprisoned former leader of the PKK. The AKP, and President Erdogan more than others, took a heroic risk two years ago to start the peace process with the PKK. The fighting stopped, violence as a political tactic was abandoned and life began to prosper in Turkey's Kurdish southeast. Until last year. Starting with the Islamic State's siege of the Kurdish town of Kobane in 2014, Turks and Kurds found themselves on different sides of the Syrian conflict. The peace process deteriorated at the same pace as the situation in Syria deteriorated. Today, there is every reason to believe that these two realms have become totally interrelated. That is why restarting the peace process is more vital than ever. It will prove to be more difficult than before, but the HDP will also be more eager after its election loss. These two parties should seriously try to turn a new page if they really want to accept the voters' message. But more importantly, the PKK must understand that killing people will not make it stronger; it will only make it more illegitimate and lead to more suffering for Kurds. The PKK must understand that killing people will not make it stronger; it will only make it more illegitimate and lead to more suffering for Kurds. Still, just restarting the peace process by itself will not suffice. The AKP should also seriously reconsider its policy in Syria. The last couple of weeks have been especially painful for Turkey, as it saw its basic calculations about the future of Syria falter one after another, with Iran included in the Vienna talks and Russia boldly joining the war. Turkey made mistakes in Syria. All countries that mingled in Syria did. Syria's so-called "revolution" was premature, if not a total fiction. And the support given to that premature process cost hundreds of thousands of lives, plus millions displaced and a beautiful landscape ruined. Turkey stubbornly refused to update its Syria policy as the conflict deteriorated into civil war. Yes, Turkey has shown signs since last spring that it is reconsidering its options in Syria. But the process is proving to be very slow and very reluctant. The AKP needs to update its Syria policy as soon as possible. It must immediately clarify its position on ISIS and the strategy to fight it. Otherwise, the chaos in the greater Middle East will continue, with another Afghanistan on Turkey's border, an hour's drive from Antalya, where the G20 summit will convene in two weeks. ISIS has already shown Turkey how cleverly it can penetrate its borders and how much pain it can create. It is no easy task to write down a new political manifesto in an age where grand narratives are failing one after another. We have not arrived at the end of history, as Francis Fukuyama once argued, but as recent developments in the Middle East have proven, we have not been able to start a new history, either. That is why the AKP's burden is bigger today than it was 13 years ago when it came to power. Offering something to Turkey, to the Middle East and to the world anew is more difficult than ever, but it is very badly needed. We will see whether AKP will be able to do that in the next few years.